Charles Cleveland was born in Los Angeles California and attended high school 1975 at Don Bosco Technical Institute and Cantwell High School in Los Angeles County. After high school, Charles enlisted in the United States Navy serving from 1981 to 1985 rising to the rank of petty officer second class. After honorably discharging from the United States Navy, Charles Cleveland enrolled in the Rio Hondo Police Academy in Whittier and was hired in 1985 by the Montclair Police Department. 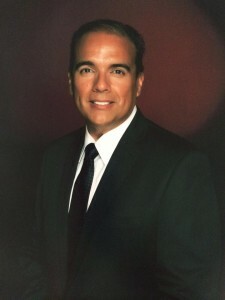 While working as a police officer, Charles Cleveland enrolled in Chaffey College, Rancho Cucamonga in 198 8 graduating in 1990 as Valedictorian with an Associate in Arts degree in general education and Associate in Science degree in Real Estate. In 1990, Charles Cleveland enrolled Western State College of Law and was awarded the California Community College Law School Scholarship and the Peace Officers Research Association of California (PORAC) law school scholarship. He earned a Bachelor of Science in Law Degree from Western State College of Law in 1993. During his studies in law school, Charles Cleveland worked in the Special Investigation Units of several workers compensation insurance carriers in Southern California. He completed his studies at American College of Law in 1996 earning a Juris Doctorate degree. Charles Cleveland passed the bar in 1997 started his law firm in Rancho Cucamonga. He later teamed up with John Metz and started the Law Offices of Cleveland and Metz which has been serving the Inland Empire communities for 22 years. Charles Cleveland is a past president of the Greater Inland Empire Applicants Attorneys Association an association of attorneys who advocate for injured workers. He is a sustaining member of the California Applicants Attorneys Association for over 14 years and currently serves on this organization’s Board of Directors. Charles Cleveland volunteers his time and expertise in State capitol in Sacramento to advocate for the rights of California injured workers with the California Applicants Attorneys Association educating legislators regarding the plight of injured workers and the abysmal state of the benefits system. Charles Cleveland is a Certified Specialist in Workers Compensation Law with the State Bar of the State of California. Charles Cleveland has been a licensed attorney since 1997 with 22 years of Worker’s Compensation and accident litigation experience. Charles Cleveland is also a Licensed Real Estate Broker consulting in real estate law matters and services. Charles Cleveland has lived in Rancho Cucamonga since 1987 and thoroughly enjoys living and working in the Inland Empire.